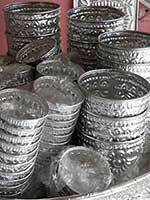 Bali aluminium boxes and buckets. Handmade using very simple tools by Balinese craftsmen. Available in various sizes and wide range of products including tissue boxes, gift boxes, mirror frames and hanging mobiles. 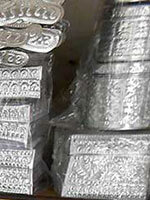 Aluminium gift boxes to use as chocolate boxes with traditional Balinese motifs carved on the boxes. We have small and big boxes. Many of them are nested boxes to save space for shipping. 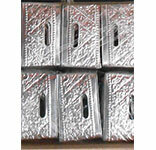 We have square and rectangle boxes in various sizes for you to choose. 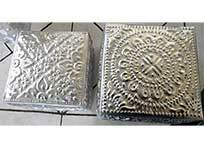 If you are packaging company looking for a new way to do packaging, these aluminium boxes is for you. 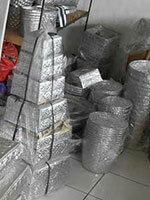 Aluminium Foil Boxes and Baskets from Bali. 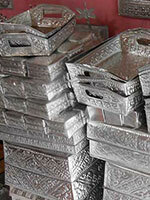 Balinese handpressed aluminium sheet boxes and baskets. 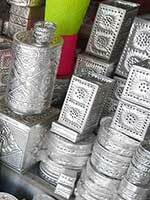 Bali aluminium boxes. 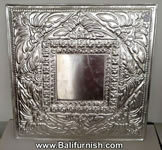 Balinese boxes from aluminium. 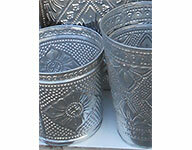 We are made to order only although we also keep some stock for immediate delivery. 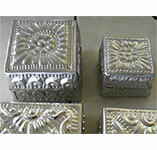 We keep stock for some Aluminium boxes and crafts which are our best seller for quicker delivery. 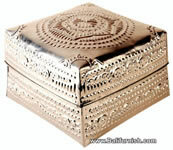 But if you need specific sizes with special carvings on top of the boxes or required name dropping, we will need more time to make it. In general we need at least 3 weeks for production. This is just a rough estimate regardless of the order size and our condition. In our busy time, we will need at least 4 weeks for production. so it is better to place your order as early as possible. Wooden Beads Chandeliers from Bali Indonesia.